School Closed for Spring Recess! Friday, 3/30-Thursday, 4/5 Wall Township Public Schools will be closed for Spring Recess. The district will reopen Friday, 4/6/2018. Report Cards should be available online 3/30 on the Genesis Parent portal. 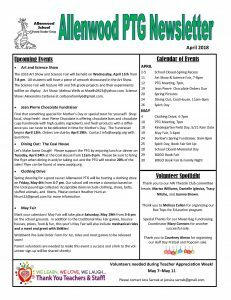 Click here for printable format! The Box Top Results Are In! Thank you for all the classes for donating Box Tops. Keep clipping all year long! Thank you to Melissa Cullen for organizing our Box Tops for Education program. March Spirit Day is TOMORROW! Be sure to wear your green & white or Allenwood Spirit Wear! Due to the use of allotted snow days, Spring Recess has been changed. 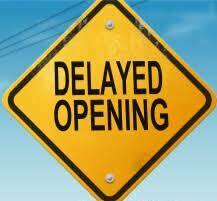 Wall Township Public Schools will be closed Friday, March 30th-Thursday, April 5th for Spring Recess. The district will reopen Friday, April 6th, 2018. Dragon News: Week of 3/26! Short week ahead, but a lot is happening! 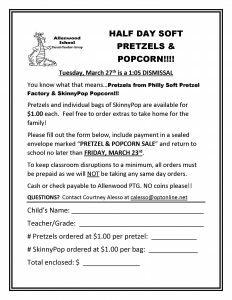 Tuesday, 3/27 is 1:05 Early Dismissal due to Parent Conferences and Spring Popcorn & Pretzel delivery for those that ordered. Please ensure you pack your child a light snack as lunch is not served on early dismissal days. Wrap-Around Program services will be available for currently enrolled students only. 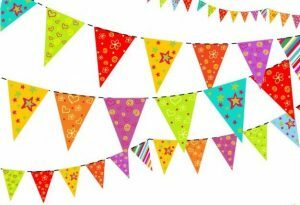 Wednesday, 3/28 is 1:05 Early Dismissal due to Parent Conferences and Kindergarten Spring Parties. Please ensure you pack your child a light snack as lunch is not served on early dismissal days. Wrap-Around Program services will be available for currently enrolled students only. 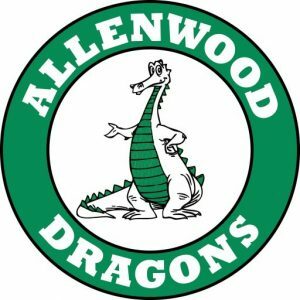 Thursday, 3/29 is Spirit Day, be sure to wear your green and white or spirit wear! 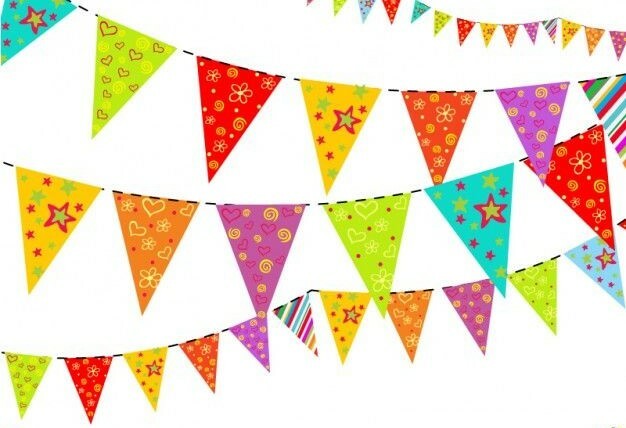 Also, May Fair Poster Entries Due for grades 3-5. 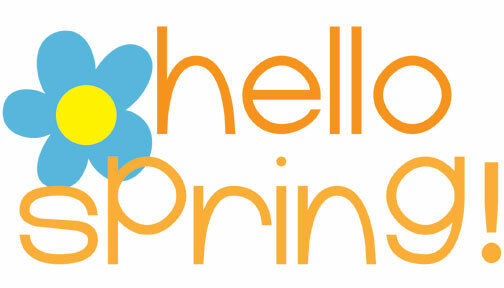 Friday, 3/30-Thursday, 4/5 Wall Township Public Schools will be closed for Spring Recess. The district will reopen Friday, 4/6/2018. Report Cards will be posted online. 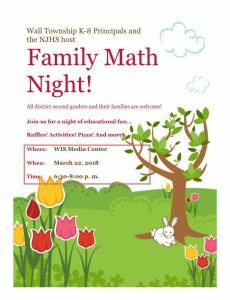 Due to the snow school closure on 3/22, the Wall Township K-8 Principals and NJHS will be RESCHEDULING the “Family Math Night” for all district second graders, and their families. Updates will be shared. 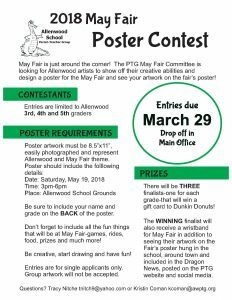 Calling all 3rd, 4th and 5th grade students…Here’s your chance to show off your creativity and enter the PTG’s May Fair poster contest! 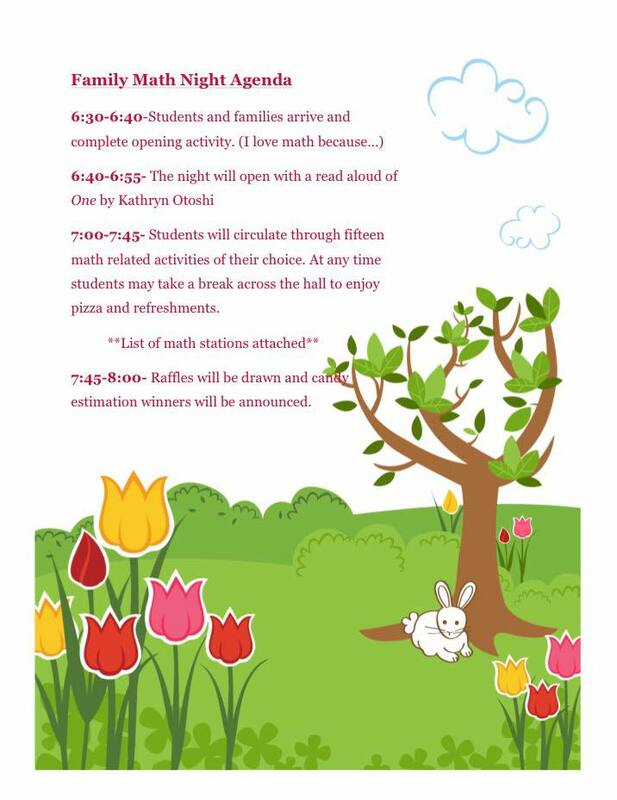 3 lucky finalists (one per grade) will receive a Dunkin Donuts gift card! 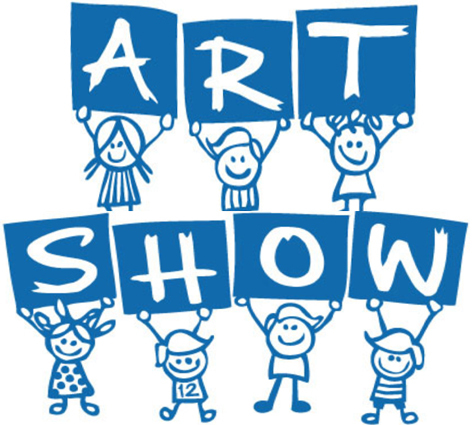 The WINNING finalist will also receive a wristband for May Fair in addition to the seeing their artwork on the Fair’s poster to be hung in the school, around town and included in the Dragon News, posted on the PTG website and social media. Entries are due THIS Thursday, 3/29. 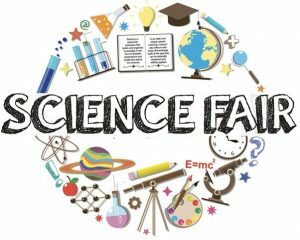 Science Fair & Art Show to be held April 11th from 7-8pm! 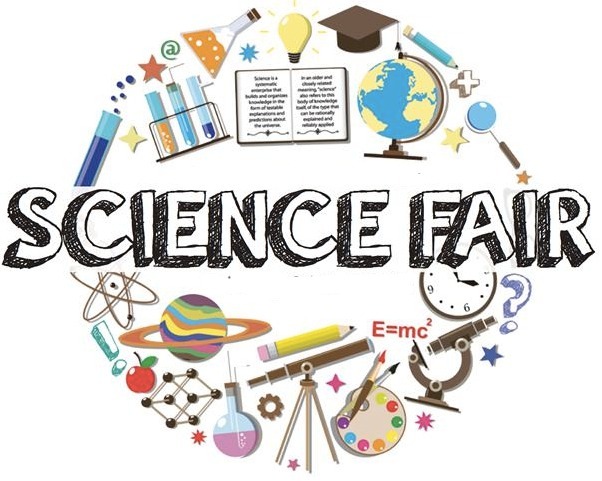 Participants of the Science Fair: Please continue to work on your projects and remember boards are due to school on Monday, April 9th. Your project could win: 1st Place: $50 Skyzone Gift Card. 2nd Place: $30 Fandango Movie Gift Card. 3rd Place: $20 Amazon Gift Card. Jean Pierre Chocolat Fundraiser-Coming Soon! Find that something special for Mother’s Day or special treat for yourself! Shop local, shop fresh! Jean Pierre Chocolate is offering chocolate bars and chocolate cups handmade with high quality ingredients and fresh products with a difference you can taste to be delivered in time for Mother’s Day. More details soon! Have a great week and spring recess! 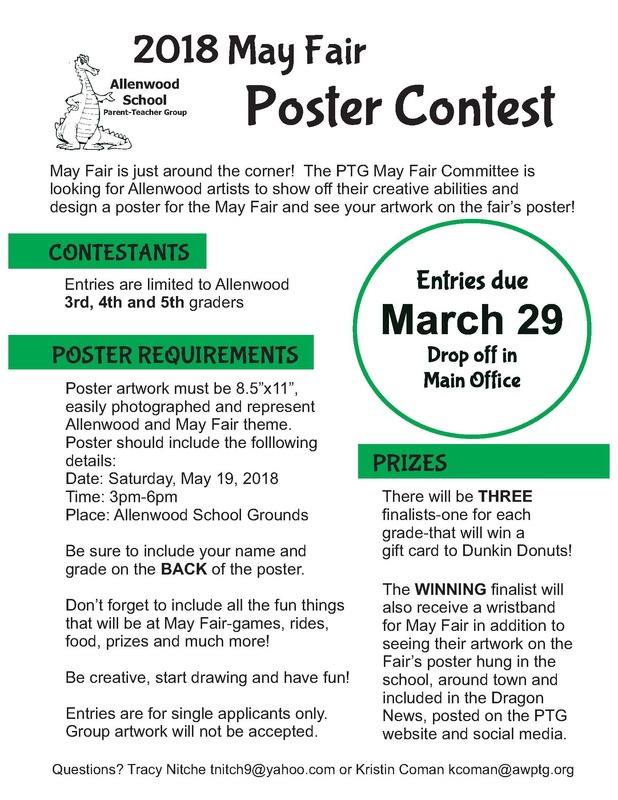 Calling all 3rd-5th graders…we hope you’re working on your May Fair poster to enter into our contest. Want to win a Dunkin Donuts gift card? Show us how creative you can be!! Show us what you love about the Fair! The winning finalist will also win a May Fair wristband! Contest ends Thursday, March 29. See details on flyer below. 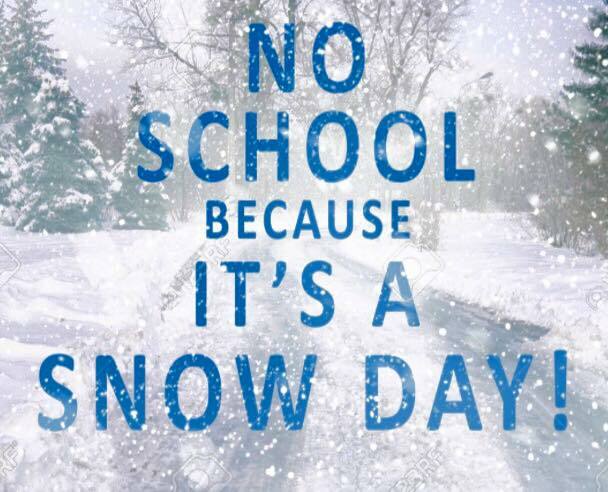 One more snow day to shop the Mixed Bag catalog! Orders can still be turned in tomorrow, but text or email (info on photo below) Mary Connors if you are sending in a form late, so she can be on the lookout! Thank You! 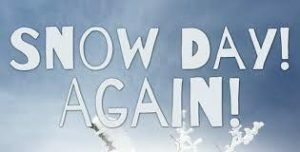 Due to the amount of snow that fell overnight, the Wall Township Public Schools will be CLOSED today, March 22, 2018. 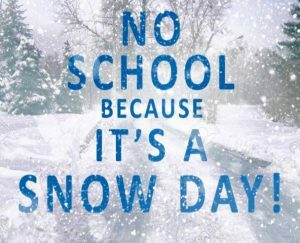 Wall Schools will be closed on 3/21/18 due to the forecast for heavy snow. Dragon News: Week of 3/19! LAST DAYS TO ORDER for Mixed Bag Fundraiser! Go green with fun reusable bags, eco-friendly accessories and other products that are durable, fun and affordable. Our Mixed Bag fundraiser runs until March 20. Catalogs have been sent home with students or you can order online at mixedbagdesigns.com and add the Fundraiser ID# 211718 to ensure credit to Allenwood with 40% of every purchase will go towards the funds for PTG sponsored programs and events. Items ordered will be delivered prior to Mother’s Day. 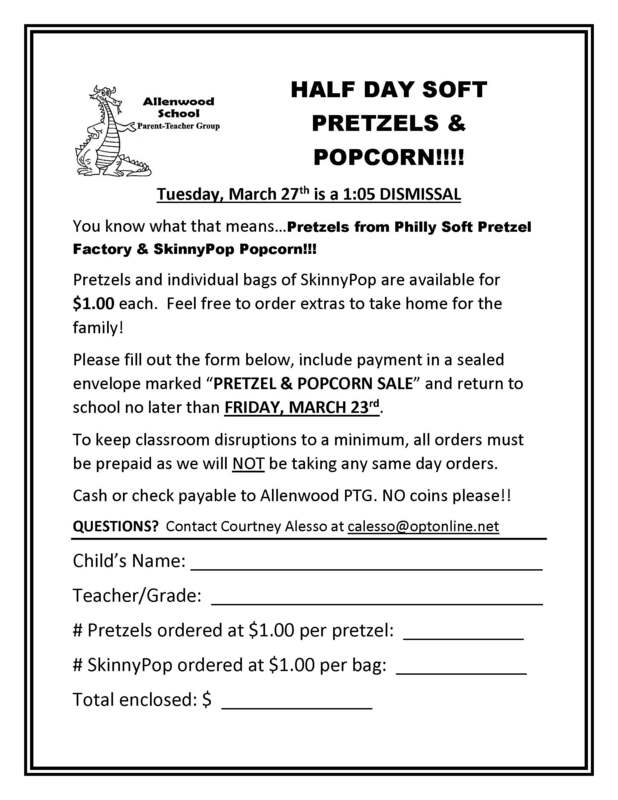 Mark your calendar as Tuesday, 3/27 will be ½ day Pretzel & Popcorn Day at Allenwood. Orders due by FRIDAY, 3/23! Download printable order form here! 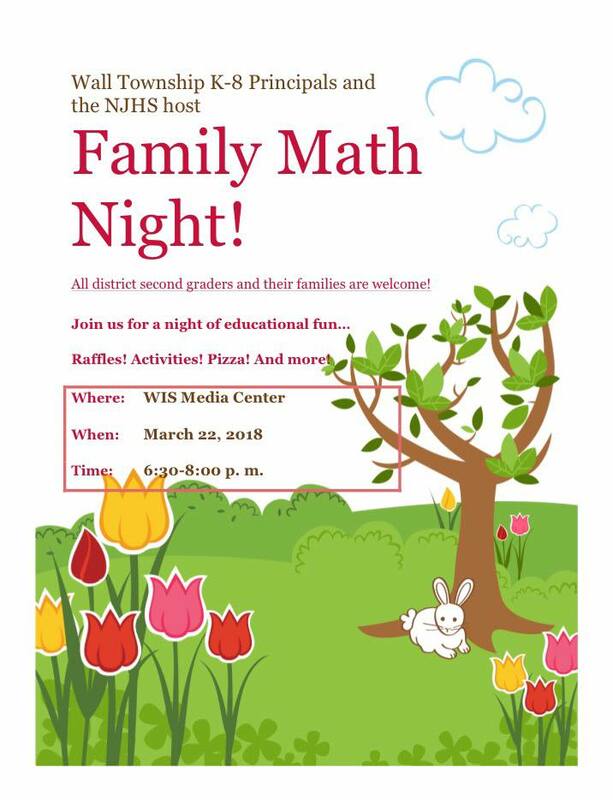 Wall Township K-8 Principals and NJHS will be hosting a “Family Math Night” for all district second graders, and their families, on Thursday, March 22nd in the WIS Media Center from 6:30 – 8:00 p.m.
3 lucky finalists (one per grade) will receive a Dunkin Donuts gift card! 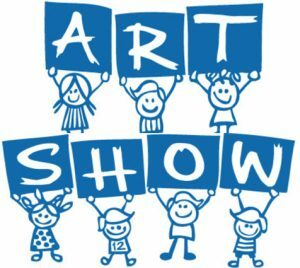 The WINNING finalist will also receive a wristband for May Fair in addition to the seeing their artwork on the Fair’s poster to be hung in the school, around town and included in the Dragon News, posted on the PTG website and social media. Entries are due Thursday, 3/29. Download flyer here. 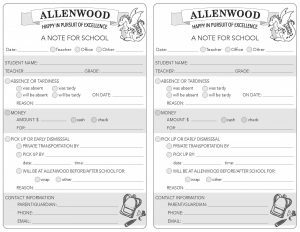 Looking for a fast and convenient way to send a note into school with your Allenwood student? This printable was updated and created to make sending notifications into school and to our children’s teachers quick, cute and hassle-free. These notes were designed to print on standard U.S. letterhead (8.5×11 paper). Just download, save, print, cut the sheet in half and write in your details! Keep a stack of these notes printed and ready for use! 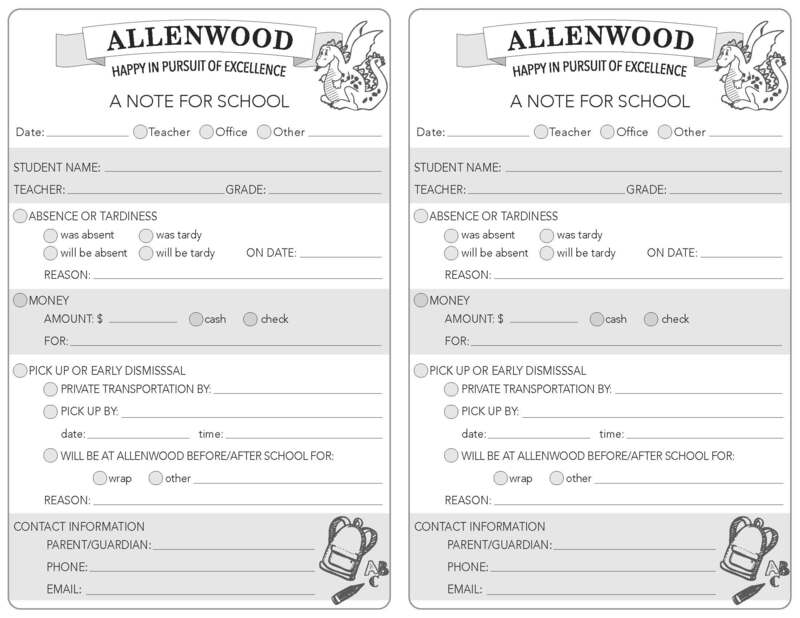 We hope these help to make your school-note-sending/receiving that much easier! Click here to download for printing. 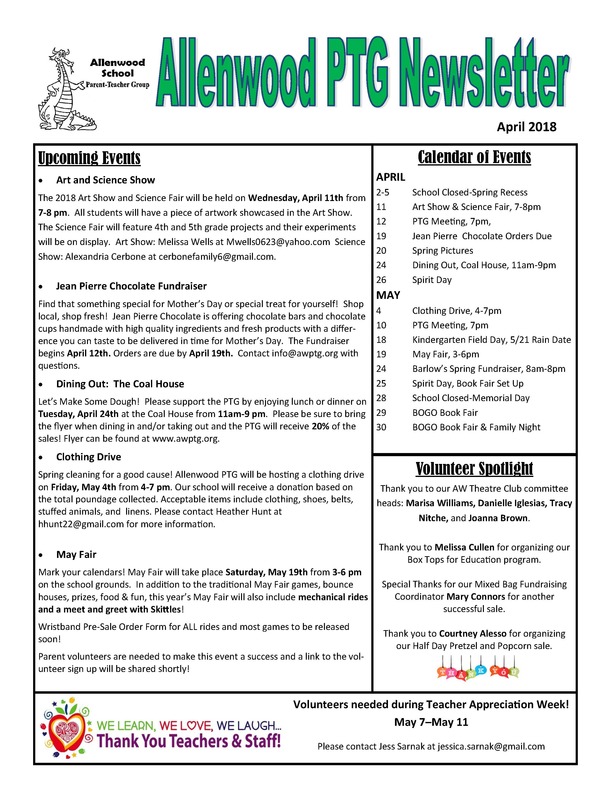 Volunteers needed for Allenwood School Art Show! 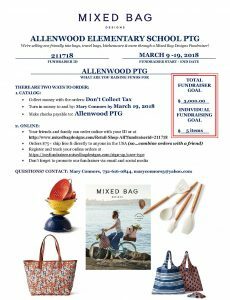 Please visit https://www.timetosignup.com/allenwoodschoolmw/sheet/1260851 to sign up! Dragon News: Week of 3/12! 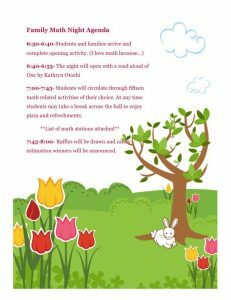 Mixed Bag Fundraiser is Back! Tomorrow is Wear Your Girl Scout Uniform to School Day! Demonstrate your courage, confidence and character, and wear your Girl Scout uniform or apparel on Monday, March 12th to school to show your pride! Superintendent Dyer, has approved the girls wearing their uniform on Monday. All four Wall Elementary School Principals are aware, supportive and excited to see the Girls showing off Girl Scout pride! *The PTG also confirmed support of the event with Dr. O’Connell. Please see pictures below for additional details.